Listen I know how exciting (stressful) it can be once you book a family session! Coordinating wardrobe, deciding on a location, worrying are my children even going to behave, taking off working, talking your significant other into the session the first place! But I am here to tell you it does not have to be that way! 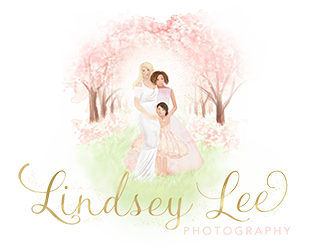 I am about to give you some simple steps to follow so you can have an enjoyable family session! 1. Get help with wardrobe! 3. Make sure you give your family PLENTY of time to get ready and that their well rested! This is one of the most important tips! Mom's I encourage you to have your hair and makeup done professionally and in plenty of time before you need to get kiddos ready. You do not want to be running out the door with children half dressed and crying and rushing though 5'o'clock traffic to your photo session! Make sure you lay out all clothing and accessories the night before your session! Do not order dress last minute and pray that Amazon is at your door 9 pm the day before LOL (okay guilty again) All jokes aside planning ahead is KEY to a successful session! Make sure everyone is well rested the night before. Most meetings are going to be an hour before sundown which usually means you will need to remember most people are leaving work at that time start 30 mins before you think you need to go! It's okay to pack your children clothing in the car so you can change them right before the session. 4. Don't stress about everyone smiling and looking at the camera. Parents we understand that you've put a lot of time and money into this session, and you won't ever photo picture perfect, but when you arrive just let the photographer run the show! Enjoy your family and do not worry about having everyone look and smile! I can guarantee some of your favorite photos are going to be the ones that everyone is laughing or interacting with each other! These are photos you will cherish the most because they will show the connection and love between your family.